High Definition (HD) Digital Video Recording devices are starting to become more readily available, and affordable, for consumers. The DVRs offer all the functionality of a standard DVR (like TiVo) but also allow for viewing and recording of HD broadcasts. If you are a Cable subscriber, there are HD DVRs available to lease from the providers for a monthly fee. Satellite providers have HD DVRs available to purchase. There are also Media Center PCs and TV Capture Cards with HD compatibility. This article will focus on all the different options available for HD Recording, and which methods are right for you. Satellite TV comes in two varieties, DirecTV and Dish Network. Each company offers a High Definition Digital Video Recorder that also works as a Satellite Receiver. Dish Network offers customers the ViP722 DVR, a dual-tuner, two-TV HD DVR receiver. This is Dish Network's top-of-the-line Receiver, as it allows you to watch and record both HD and SD broadcasts, while also using the receiver as a DVR. 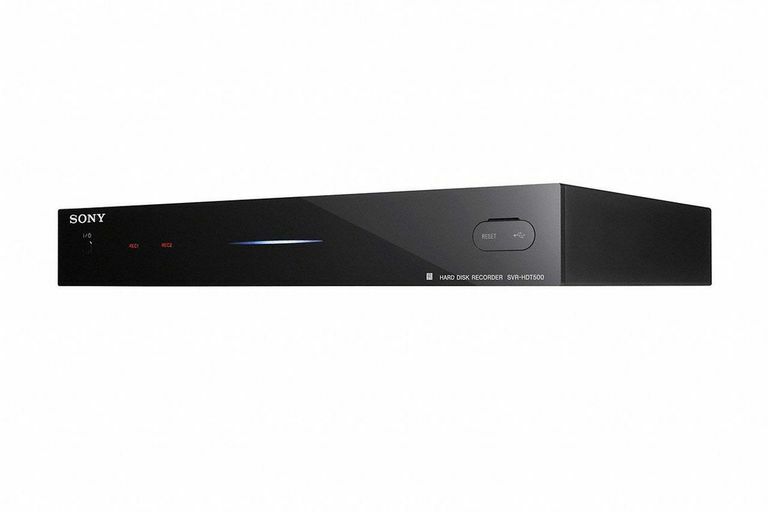 It is a Dual-tuner Receiver for recording one show while watching another, and includes a hefty Hard Drive for up to 350 hours of SD recording, and up to 55 hours of HD recording. It also provides an Electronic Programming Guide (EPG) for scheduling recordings in advance. The cost of this little unit? $549.99 for the Receiver, and then your monthly Satellite charge (currently $19.99 and up depending on your programming). DirecTV offers an HD DVR that includes the TiVo Service built-in to the Receiver. Not only do you receive HD Broadcasts for recording, you get a fully functional TiVo DVR. It includes Dual-tuners, a 250GB Hard Drive and the TiVo EPG. DirecTV is currently offering the HD DVR with TiVo for $499 after rebate. Cable TV providers offer HD DVRs at a very affordable rate, a much better price than Satellite providers. For as little as $10 a month, you can have a fully functional High Definition Digital Video Recorder with over 100GB of storage space and Dual-tuners. Most Cable companies are now offering HD DVR service for a low monthly fee, and provide their customers with either a Motorola DCT6412 HD DVR, or a Scientific Atlanta 8300HD DVR, depending on the Cable provider. It's really nice to have an HD DVR for such a low price. After Satellite and Cable, the options for HD Digital Video Recording include Sony's brand of HD DVRs (that only work with Analog Cable TV), and Computers that include High Definition TV Capture Cards. Sony makes two HD DVR models, the DHG-HDD500 and the DHG-HDD250. Both of these DVRs work with existing analog cable systems, and include a free Electronic Programming Guide (EPG). They also include antenna for recording free over-the-air HDTV. The DHG-HDD500 can record and store at least 60 hours of high-definition video and up to 400 hours of standard-definition video, while the HDD250 can record at least 30 hours of high definition and up to 200 hours of standard definition video. Both include multiple analog inputs and outputs as well as Component, HDMI and digital audio outputs. These are expensive and high-end DVRs that are ideal for analog cable subscribers who want the ability to record HD signals free over-the-air. ATI makes the HDTV WONDER, a PCI card for analog TV, over-the-air digital TV and full quality free over-the-air HDTV reception. It offers Digital Video Recorder capabilities, with the controls to watch, pause and record TV to your computers hard drive, or to CDs and DVDs. In addition to analog cable support, the HDTV WONDER includes an HDTV antenna which allows consumers to experience over-the-air HDTV broadcasts without having to subscribe to Cable or Satellite service charges. An antenna is used to pick up OTA HD Broadcasts, which can then be recorded and time-shifted like any DVR system. The AVerMedia AVerTVHD MCE A180 is a PCI ATSC HDTV TV and Video Capture Card for free over-the-air digital TV and full quality free over-the-air HDTV reception. This allows for free over-the-air HDTV on a PC, so you can watch, pause and record HDTV programs on your PC. To use this card you must buy a seperate HDTV antenna. The ATI card works on Windows XP or Windows Media Center O/S. The AverMedia card only works with Windows Media Center. Microsoft's Windows Media Center Operating System is now offered by many computer manufacturer's and many of those manufacturer's offer an HDTV upgrade to either an ATI or Avermedia HD card. Or, if you don't want to use the Media Center O/S, then the ATI card could be used on a Windows XP machine.